Authentic and Magnificent Estate-Style property!! 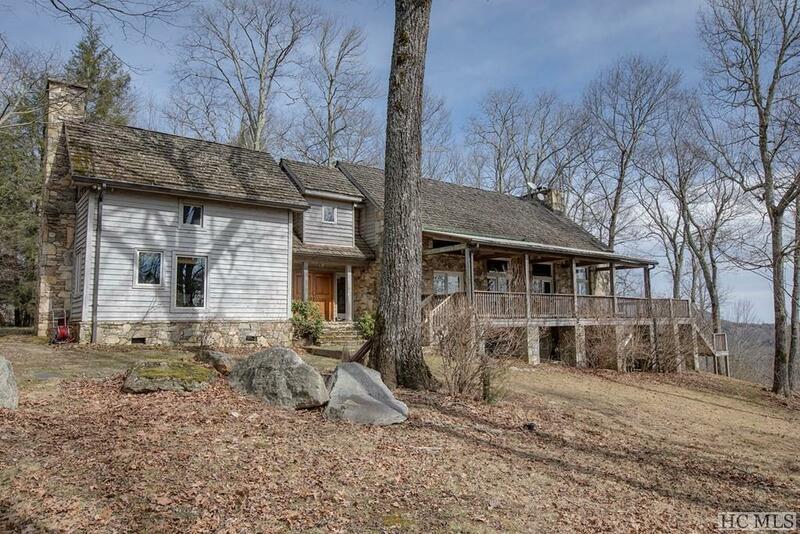 This home personifies Lodge and Log Home living, and was custom built by an Artisan-Craftsman Priest. Using old-world construction methods, it mirrors the "Tithing Barns" of old Southern England to the Owner's specifications. There are no nails in this construction style. Rather, hand-made wooden pegs support the beam work and exposed trusses. 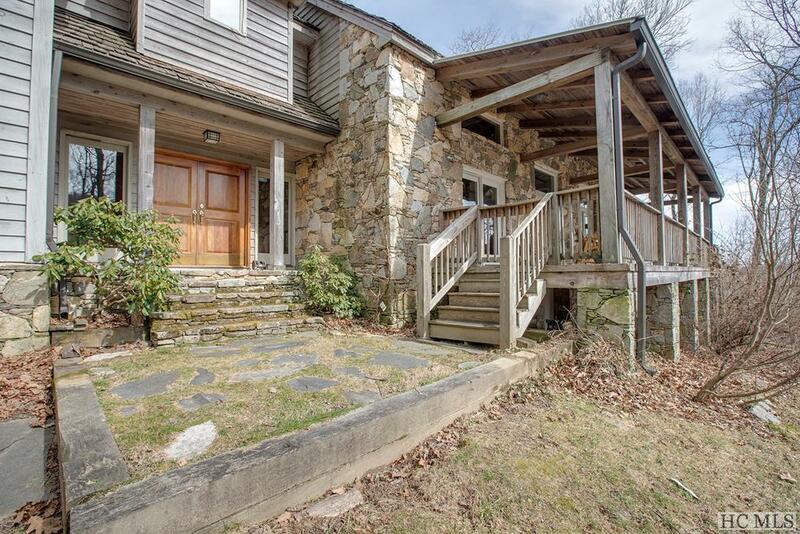 The Stone+Wood Exterior and covered decks capture the views of the valley and rock faces beyond which open immediately as you enter the property on a winding private drive with entry gate. 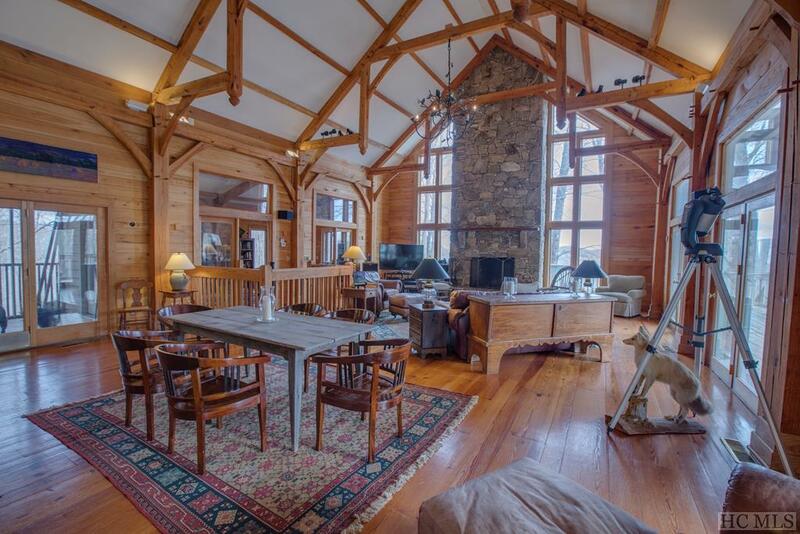 Once inside, the hand-hewn interiors, an open Chef's Kitchen, and Upper Loft transition to the Great Room, Office & Den all accented with windowed 20-foot high vaulted ceilings and the floor-to-ceiling stone fireplace. The Master Bedroom and Bath are on main level and include a wood-burning fireplace against the timber-log and chinked walls. A spacious and light-filled Lower Level are an open canvass allowing for a 4th bedroom with on-suite, a work out or media room, or additional living area. 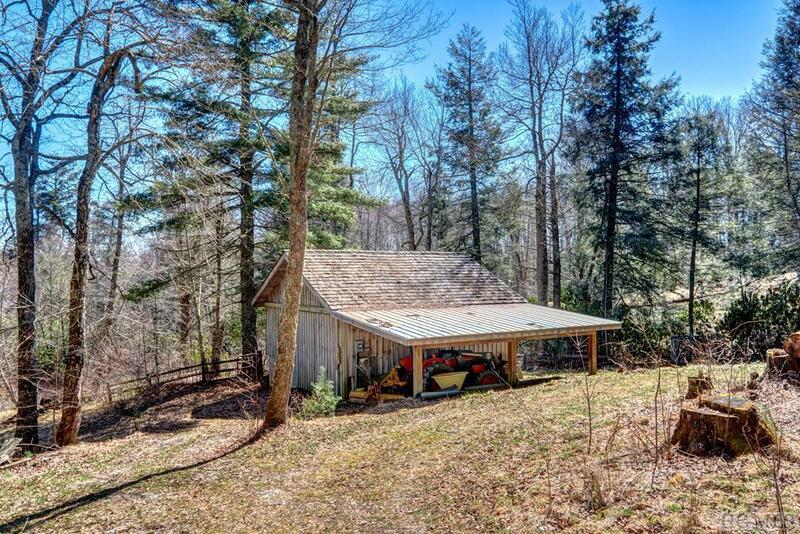 The +/- 27 acres include rolling pastures, a corral & barn and Kentucky-style fencing. Complimenting this heavenly homestead are it's closeness to town (just 12 minutes to Ingle's), and the Panthertown Valley trail system. If you're ready to fall in love with a property, this could well be the one. Listing provided courtesy of Holly Falls of Landmark Realty Group.